And he was right. Fallout 4 was such a gigantic and immersive game that I literally had to force myself to quit playing it because it was intruding upon my real life duties, one of them which is to play and review other games. 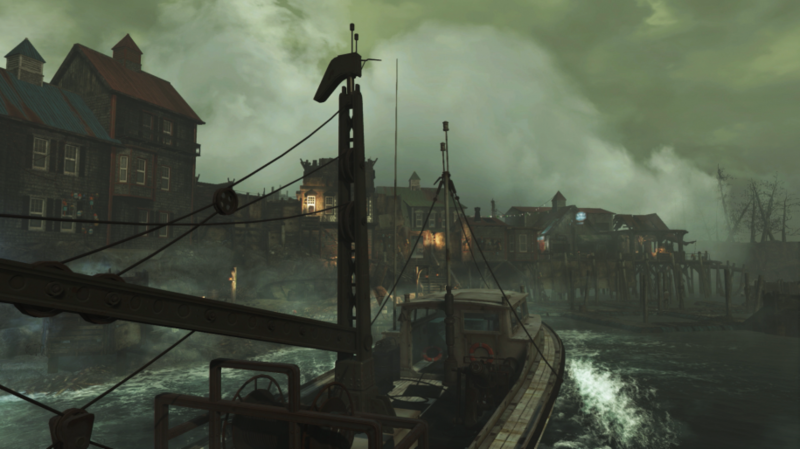 Fortunately, Fallout 4’s latest DLC content, the recently released Fallout 4: Far Harbor, is more focused in both a narrative and exploratory sense. Whereas Fallout 4’s two previous DLC offerings were met with mixed reactions, Fallout 4: Far Harbor seems to have put the hallowed series back on track with its more interesting and varied plotlines and intriguing characters. 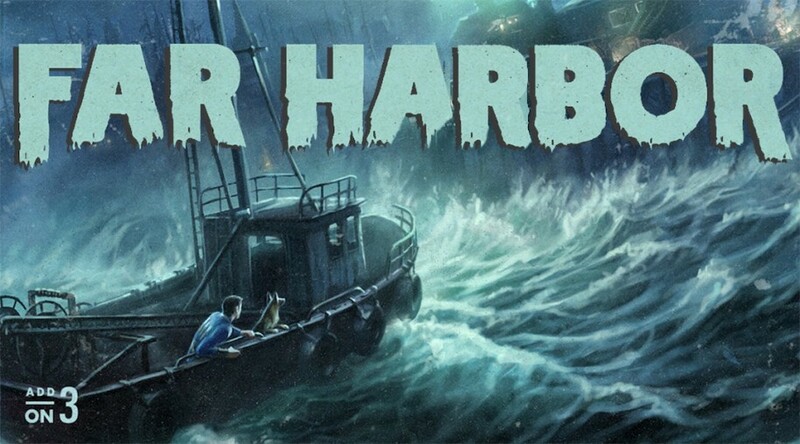 Although Far Harbor is a more contained game (it takes place on a sprawling island) it is by no means small, and is certainly much bigger than the previous DLCs by a wide margin. There are tons of new missions to take on and interesting characters to talk to, but what really intrigued me were the factions. 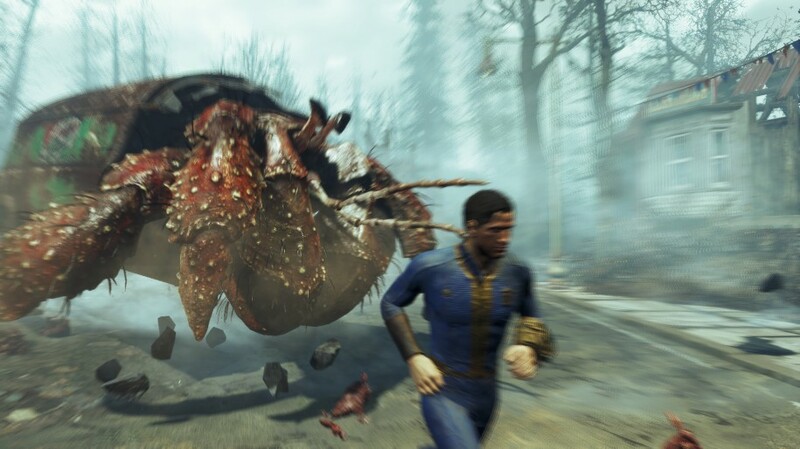 To back up a little, in Far Harbor, players take on a seemingly straight forward task. Nick Valentine’s Detective Agency has been contacted by someone close to him whose daughter has disappeared. 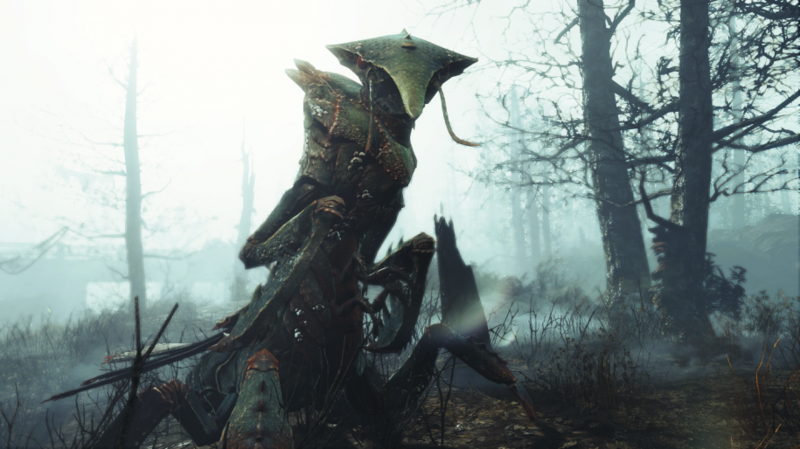 Upon digging a little deeper, it is discovered that she could possibly be a synth, who has traveled all the way up the northeastern coastline to the mist-shrouded island of Far Harbor. Gathering up your gear, you set out on a tranquil boat trip to said island. Shortly after your arrival, you become aware that there is much more at play on the island than a simple trace and retrieval, which is where things really start to get interesting. Like the almost ever-present radioactive fog, at first the motives of the three main, adversarial factions are rather obscure. But upon further investigation through talking to many of the different characters and finding clues, the misty layers start to peel back one-by-one, and plots and motivations begin to reveal themselves. 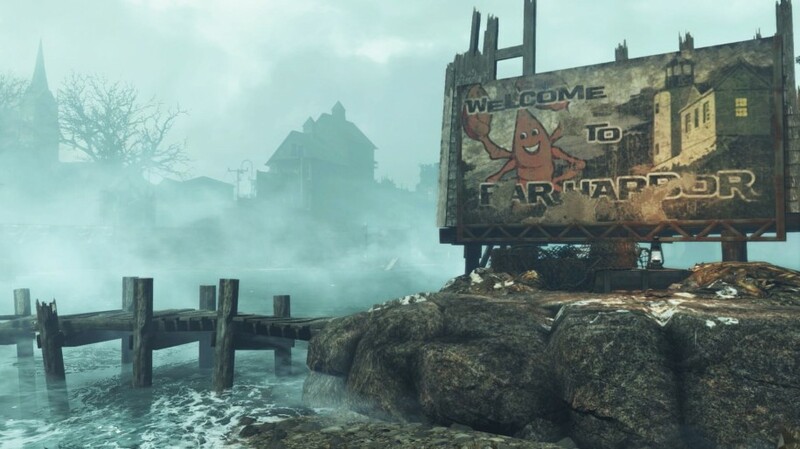 The people native to Far Harbor are upset because they have been pinned-in by the ever-encroaching and deadly fog, and have been relegated to a narrow piece of land. The mutated Children of the Atom are pretty much diametrically opposed to them since they basically subsist in the radioactive mists. Meanwhile, the synths have their own motives, and plot and scheme from their stronghold near the center of the island. Previous games of the series have always had these faction dynamics—disparate groups at conflict with one another, with the player more or less navigating the murky waters between them. However, in Far Harbor, each of the factions is not only fleshed out more but force your hand as far as which one you want to help. In other words, instead of you merely having an inclination towards one faction or another, here you’re either all in or not. No—don’t worry. This by no means makes things easier to figure out but rather requires deeper thought and reflection. Do you feel like attempting to broker peace between the factions, or are you more of a soldier of fortune type? Sometimes these choices aren’t left in your hands because if you say the wrong thing to the wrong person (or group of people) everything can go completely haywire very quickly. This volatile environment makes for some unpredictable (in a good way) storytelling, and luckily Far Harbor delivers in this respect. In this way, you can experience the game differently with repeated play throughs, which definitely adds to its replay value. Far Harbor’s visuals are outstanding, overall. I can’t recall any games in recent history where I was drawn in by such a brilliantly dreary, almost Victorian-style atmosphere. The island of Far Harbor itself features both stunning vistas and fog-chocked forests, as well as creaking docks and other maritime areas—it really looks like some nightmarish region dreamt up by H.P. Lovecraft himself. The sound department also nailed it. Not only are the voice actors spot on and convincing but the various sound effects, including some blood-curdling creature noises, really ratchet up the tension and serve to draw you further into the proceedings. Unlike the previous DLCs, which were more like small piecemeal add-ons of questionable content, Far Harbor went much farther. It is a full-sized expansion that offers new large areas to explore, interesting characters to encounter (including a new companion), lots of new loot, weapons, and other items, and some fantastic writing and storytelling. 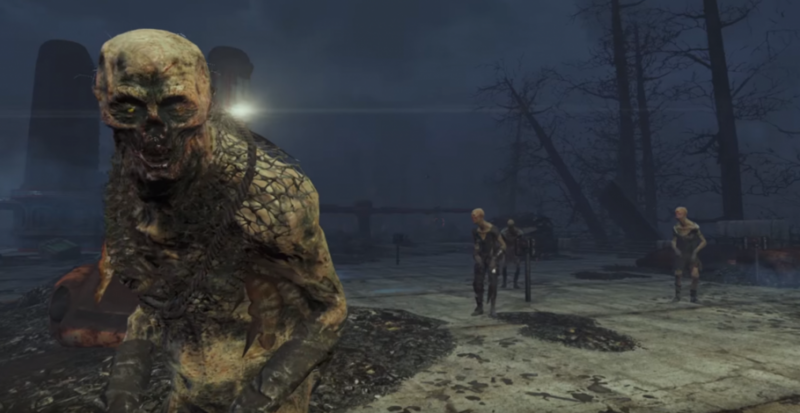 Bethesda has obviously listened to its fan base and corrected many of the complaints that they received about the original Fallout 4, in terms of both content and quality. It features over thirty hours of solid, RPG-style quests, and much more variety with regards to its gameplay and the choices that it offers up to players. 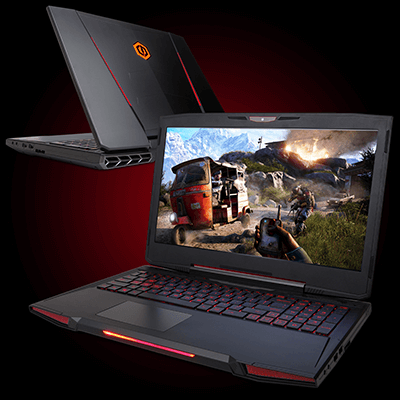 Visit CyberpowerPC’s website to check out all of the other great deals as well!